Help celebrate the Tinth Anniversary of Cornish Mining World Heritage Status at this once-in-a -lifetime event. 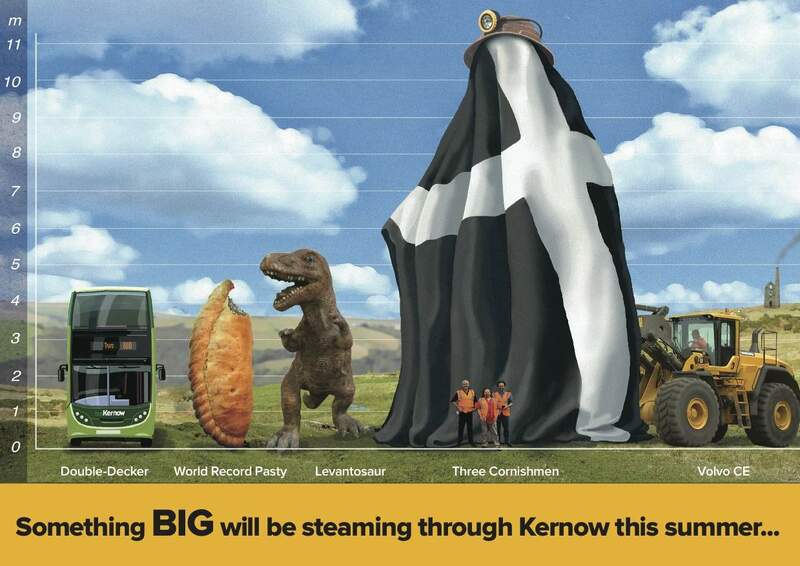 Camborne is the only place you’ll see the Levantosaur greet The Man Engine. Camborne will host The Man Engine, The Levantosaur, the Man Engine Trailblazer Wagons, street theatre and the Camborne Produce Market.